Technical indicators are used for trading Stocks, futures, commodities, previous metal, energy and Forex. One of the most useful indicator is the Bollinger Band which is invented by John Bollinger to show the highness and lowness of the currency price as compare to previous price. Bollinger Bands consist of upper and lower band with a moving average of certain period. The upper band and lower band is the difference using the standard deviation of price by multiplier. The default multiplier is x2 and the average default is 20 days moving average. The standard deviation is use to measure the diversity of the currency price with historical price. It takes the average mean of 20 periods and then square the difference with the mean price and historical price. Add up all the differences divide by total no. of periods. Lastly square root it back to get the standard deviation. As you can see, it gives a bigger value if the average price is more larger then the historical price. This is a good measure of the diversity of the price and its direction. The multiplier in this case help to provide a support and resistance level which correspond with the moving average. For price that is close to the upper Band or lower Band indicate the closeness of the price at its resistance or support level. This can surf as a trigger indicator for Buy or Sell trade. The crossing at the moving average also can signify the changes of the price trend from low to high or high to low. By looking at the slope of the moving average, you can easily identify the price is getting stronger or weaker by crossing the moving average mid-point. This is further enhanced when the previous price touches the upper or lower band, indicating a change in the trend direction. Bollinger Bands can be widely used in finding double top and double bottom. 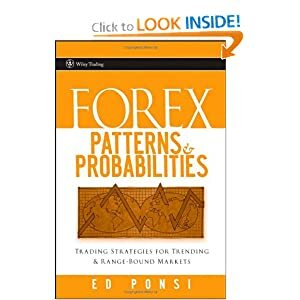 In Forex trading, most currency will face strong resistance when changing trend and hence a double top or double bottom will be evidently easy to spot using the upper band and lower band of a Bollinger Bands. With prices crossing the middle moving average and then back to either of the band and then back to moving average, you can see the change in the slope of the moving average and trend of the price beginning to show after the crossing. Many trades can be executed by predicting this early signal just before price breakout. The upper and lower band also serves as support and resistance level for sideways moving currency. It clearly indicates provide a clear visual of doing channel trading and executing trades when near the upper and lower bands. This is particularly useful when the trend is weak and volume is high. Some trades uses convergence or divergence to pick breakout before news release or major market opening that causes high volatile to the currency volume. In all, Bollinger band is a wonder indicator which you can set multiplier to x3 or x4 for high movement currency or x1 for low price changing times.